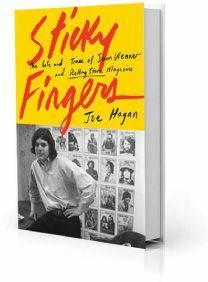 Crucially, Hagan pinpoints the tension in the Rolling Stone ethos that has defined the magazine since its 1967 launch, said Jack Hamilton in Slate.com. Wenner wanted to be close to fame and support meaningful journalism. So his magazine was cozying up to John Lennon at the same time it was castigating the Rolling Stones for the violence that erupted at their 1969 concert at Altamont Speedway. It was publishing groundbreaking work by Tom Wolfe at the same time that it was manufacturing new cover stars. Wenner at one point almost destroyed his friendship with Lennon by turning a 1970 exclusive interview into a book. But he mostly remained loyal to his pals—eventually at the expense of the magazine’s critical credibility. Still, the “print-thelegend” instinct that taints Wenner’s legacy is the same instinct that enabled him to define an era.